Dr.S.G.Biju, Homoeopathic Physician, is the Managing Director of the Homoeopathic Multi Speciality Hospital, Changanacherry. His individualized approach to treatment maximizes success and minimizes side effects. Dr. Biju is an advocate for patients infected with “Hepatitis-B” and he got Red Cross appreciation award for curing Hepatitis- B cases in 1998. Dr. Biju treated and cured number of incurable diseases viz, Hepatitis -B, Osteogenesis Imperfecta, Infertility, leukemia, ITP. He is conducting researches in the treatment for HEPATITIS-B, RHEUMATOID ARTHRITIS, INFERTILITY & ALLERGIC DISEASES for the past several years. Besides this, he is the winner of Dr.Samuel Hahnemann Award 2003. He is also honored by the Best guest lecturer Award and Rajiv Gandhi Shiromany Award. At present, he handles a variety of posts. Treated and cured 30 cases of Osteo Genesis imperfecta tarda a so called incurable disease. 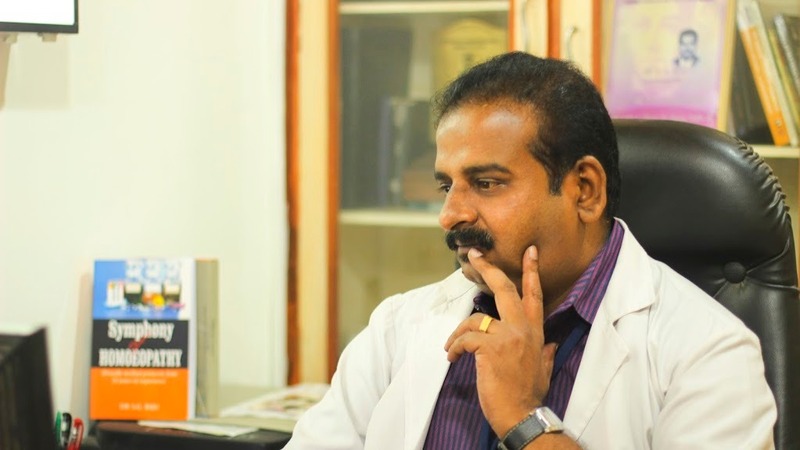 Started Infertility Specialty OP in the year 2005 under the able guidance of Dr.R.Balakrishna Pillai. To Achieve 100 Patients/ day by 31st March 2010. To Treat 600 GASTROINTESTINAL DISORDERS by 1st September 2010. To Treat 60 Infertility by 31st march 2011. To Treat 600 DIEBETES MELLITUS by 1st September 2010.